TAKING BACK UP OFFERS. PROPERTY IS UNDER CONTRACT. This is one the most awesome homes I have seen. Brick and stone construction with beautiful landscaping and outbuildings. Inside you will find that it looks absolutely wonderful. Formal dining, study, roomy living area with ceiling fan and fireplace plus window treatments. Master suite is large and has a very nice bath with shower, whirlpool double vanity and a huge walkin closet. The kitchen is a "italian kitchen with arches, brick and a wonderful eating area. Stainless steel builtin appliances - dishwasher, cook top, oven and microwave. There is a pantry and a 1/2 bath. The other two bedrooms share a bath with large vanity, tub/shower. The back yard is wonderful with loads of landscaping, cover patio, open patio. There is sprinkler system in the yards and a storm cellar plus two storage buildings. 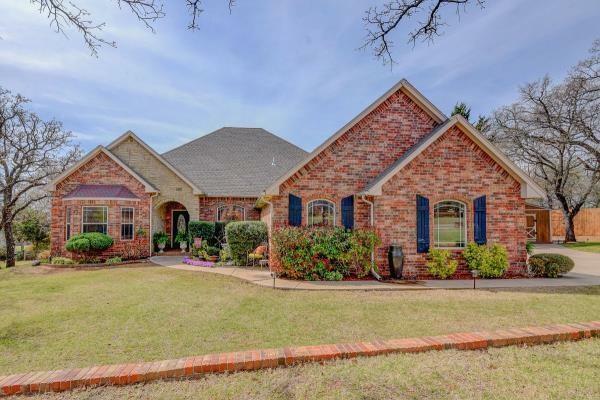 Close access to Norman, OKC, airport, I35, I44, and Chickasha.